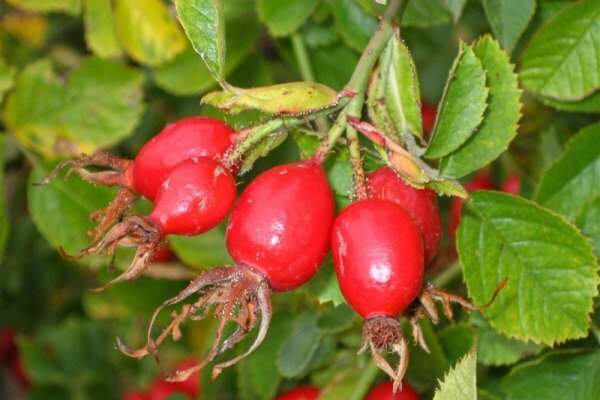 Rosehips - Rosa canina. 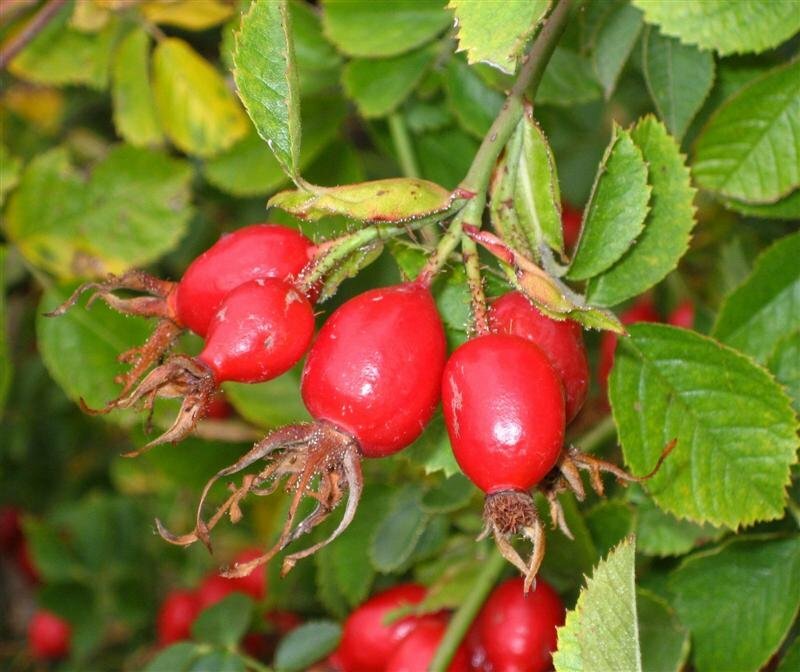 Rosehips, or Rose Haws, are the fruit of wild roses, also known as the "dog rose". Their high Vitamin C and antioxidant content make them a popular addition to a variety of herbal tea blends.